I just created a new site , what are my login details ? 3. 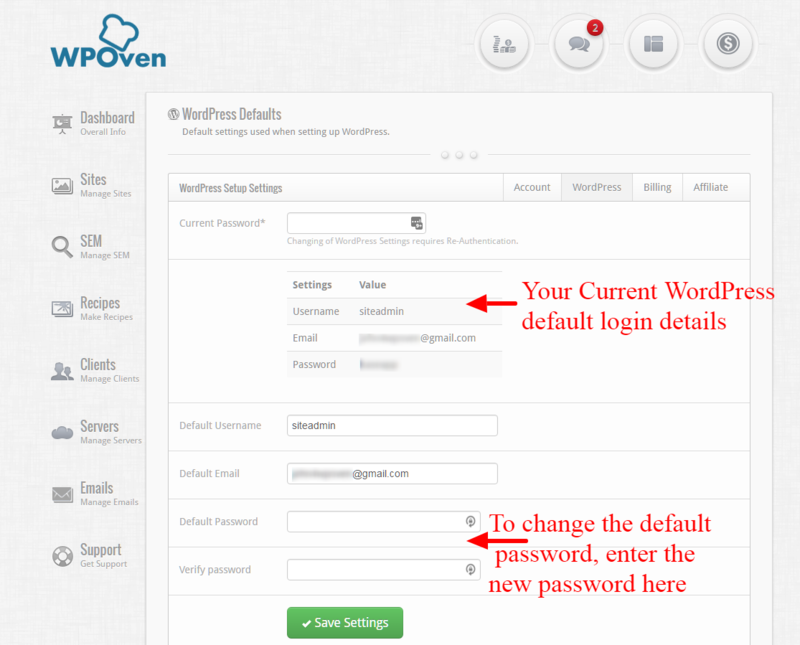 You should now be able to see the default login details for your new WordPress sites created with WPOven. 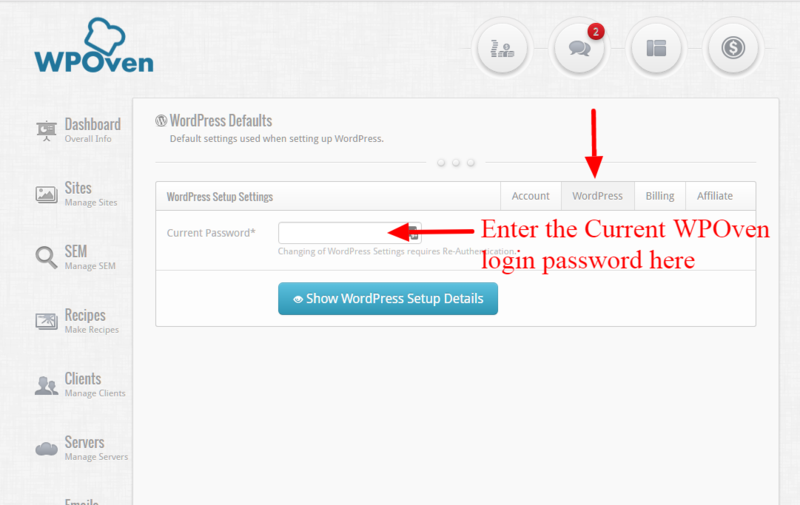 If you wish to change the default password for the new sites, you can simply update the default password fields.